A series about the ways I work towards being cognizant through decisions that make me more mentally engaged with various facets of my day-to-day life. Cognizance (noun): Awareness, realization, notice, knowledge, perception. It has been an interesting (and often frustrating) journey since I decided to get uncomfortable in order to see things more clearly. The summer before last I returned from studying and researching in Poland and my intentions of eventually moving to Eastern Canada turned quickly into solidified plans: booked plane tickets, a new address, and a “temporary” job to help with the transition. I arrived, grateful for having secured employment that would be fun and teach me a few things before I, inevitably, would find a role that would inform the next steps in my career journey. Working the barista life had served me well in the past when I had no other obligations or a deep feeling of anxiety when I thought about the future. Wouldn’t this time be a fun throwback and bring with it the same care-free fun? That is not to say that I didn’t thoroughly enjoy most aspects of the job. I actually love creating firm foam peaks for a latte, providing the perfect recommendation given someone’s mood/health/state of affairs, and especially meeting wonderful humans. However, this barista experience was quite different from the last because those obligations and that deep feeling of anxiety were present, and they made this experience a lot more stressful. I felt like I was stuck. I was actively searching for work and felt that my applications were strong contenders to launch me out of this “temporary” position. I often thought, “I am definitely the best person for this job!” It was hard when that didn’t seem to be a sentiment shared on the other end of the application. The job hunt is exhausting. Emotionally and physically. It drains you. And it drained me. It made my temporary work feel like a long tunnel with no light at the end – what joy I could find in it was often obscured by my lack of clear end game. Where was I going with this? In the spring, I had a chance to step away from the espresso machine. During that week, I found myself becoming anxious when I thought about going back to work with no clearer sense of where I was headed. Suddenly, a thought crossed my mind. I sighed loudly and my friend asked, “What’s wrong?” I told her, “I think I need to apply to this program.” That program was the Queen’s GDB – if you’ve read some of my recent blog posts, you’ll know that I did apply to that program and that three weeks later I was studying business in Kingston. That decision changed the game for me. I learned a lot about the business world and gained valuable experience in applying new skills and knowledge. However, I think the greatest value for me came from conversations: conversations with career coaches and with people who worked in companies I was interested in or passionate about. One of my biggest takeaways from business school was not certainty about my career but how to approach my career. This just isn’t something built so intentionally into the curriculum of other academic fields. I learned how to reflect on my values, skills, and interests and how to apply those ideas to discovering paths that made sense to me. I also learned about having conversations with the right people at the right companies and how that could help inform my search and create new opportunities. It was a conversation that led me to where I am now. A well-timed phone call meant that I learned about a position that had only recently been created, which led to a lengthy interview process, which led to my intense desire to secure a role at this amazing company I had fallen for. It took a month of work and waiting, but my heart was not broken and I am now 7 weeks into an amazing new adventure. I am fortunate in many ways to be where I am now. Not everyone has the support or means to move their life around and persevere through challenging times to find something that feels right. My support system spanned provinces, and I am especially grateful to a few who helped steady me time and time again (thank you). However, I believe that I did create some of my own luck in getting to where I am by saying “yes” at pivotal moments and being willing to get uncomfortable. My advice to those of you searching for work or a meaningful career? Check yo’self: What do you like, what do you NOT like (the opposite of this tells you what your values are), what are you skilled at, and what do you want out of a career/role? Update your documents: Make a long version of your resume with ALL of your experience on it and then tailor your resume for EVERY job application you submit – do not use just one for every role! Companies will notice if you’ve taken the time to make one just for them. I wrote a more detailed post about job application documents here. Find some companies: Make a list of companies and rank them by your level of enthusiasm about working there and find a person that you can reach out to at each company (this is a method derived from the 2-hour job search). Talk to people: This is probably the most important part. Start finding contacts on LinkedIn, company websites, or through spontaneous conversations and ask good questions and pitch yourself! You never know what opportunities might currently or soon be available, and conversations will help you uncover hidden gems. If you ever want to talk career and life, feel free to drop a line! I am really passionate about the challenges and triumphs of this process and love to discuss it with others. 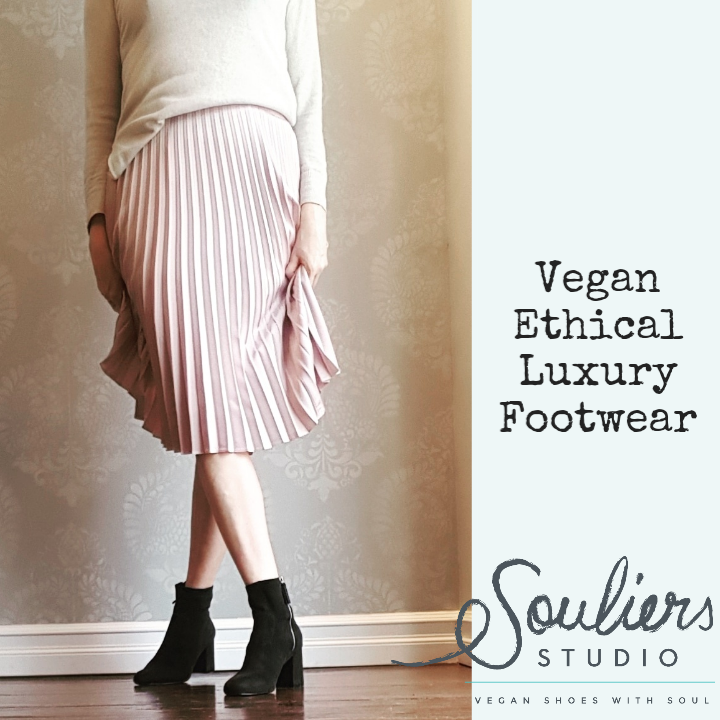 head over to Souliers Studio by clicking below! MY NEW SHOES ARE IN THE MAIL RIGHT NOW.